How Do You Say Happiness? There are many situations which can cause people to feel unhappy. These situations can include unemployment, social or romantic struggles, family issues, or other more intricate ties to an individual’s physiological state. When life is static and nothing overtly negative is happening, however, these same people might be hard-pressed to define exactly what a state of happiness feels like. Personally, I feel happiest when I have a fresh cup of coffee and breakfast early in the morning; when I’m hopping in the car to go on a road trip and see a new city; just after physical exertion of some kind; and when I’ve accomplished or completed something. This same list is replicated by Buffer CEO and Founder, Joel Gascoigne, in his FastCompany article entitled 6 Simple Habits to Keep You Consistently Happy Everyday. Despite the simplicity of this list, it did get me thinking that these elements – sleep, physical activity, mindfulness, altruism, etc. – are a part of everyone’s New Year’s resolution list because they are consistently low on our personal priorities. Other FastCompany articles and different blogs like NerdFitness reinforce the idea that it’s a struggle to enjoy these luxuries occasionally, much less on a daily basis. To my mind, the enemies of happiness (I define happiness here as simple, uncomplicated moments in life) are electronic devices, assumed expectations, and anxiety. These three issues are what’s keeping me, at least, from feeling the full sensation of pleasure when I take my first sip of coffee in the morning. First, electronic devices are constantly buzzing, glowing, and beeping at us. During spare time that we could be using to enjoy a bit of fresh air, we’re gazing down at our phones and getting caught up on the latest pointless chatter on Facebook. Second, assumed expectations are the pressures we feel from other people without any rational or concrete reasoning behind these pressures. You may feel like you absolutely have to clean your house to shining spotlessness before a friend comes over to visit – but your worry and fussing over the cleaning ruins the enjoyment of the social call. Lastly, anxiety can ruin anything, is tied to many diverse behaviors, and is perhaps the greatest enemy to any happiness project anywhere. I certainly don’t have the catch-all answer to overcoming anxiety, but I can point you in the direction of others working on this conundrum. An excellent example is Gretchen Rubin who regularly writes on her blog and has published a book entitled The Happiness Project. I can strongly recommend this as a resource for those looking to relearn the meaning and content of ‘happiness’. 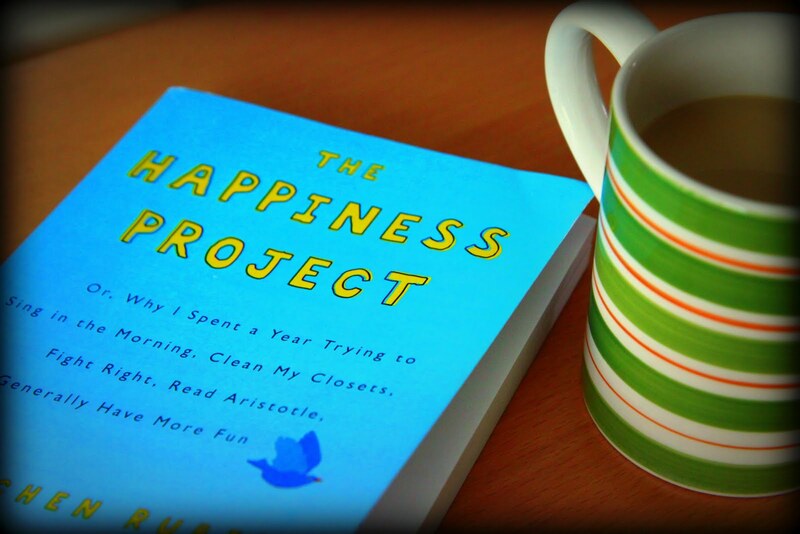 Gretchen Rubin’s book entitled The Happiness Project is a great resource for joy-seekers.